Help us build the first complete single track mountain bike loop around Payette Lake! We have been working hard on this project for the past two years and now have all the permits and plans in place to start construction of this increcible 30 mile trail. CIMBA has partnered with our parent organization IMBA and thier building team Trail Solutions to make sure that we make this trail right. With Trail Solutions' record of making world class singletrack, we have no doubt that the final product will be an amazing trail that will be a crowd favorite for generations to come. With top quality work, however comes a financial burden. We need to fund the construction of this project, and we need your help to do it! 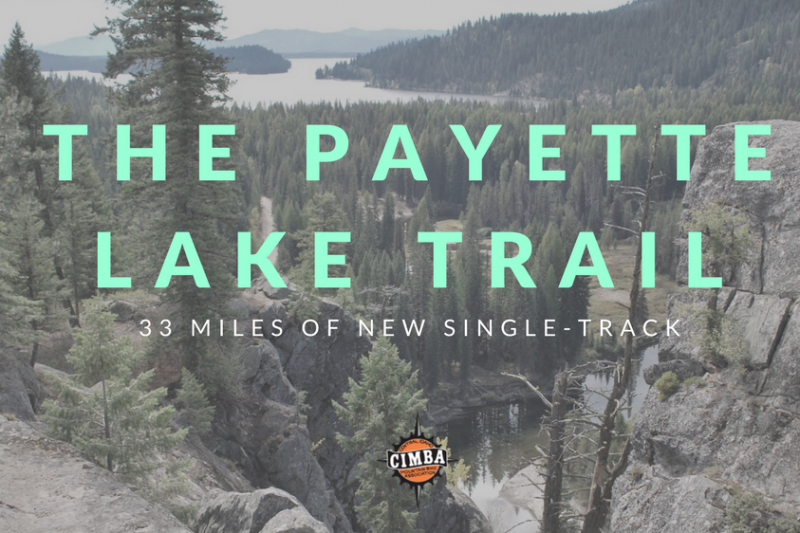 Each and every contribution made to this campaign will go directly to the cost of building the Payette Lake Trail. Help us make this dream a reality and donate today! Visit the CIMBA Website for more information. I donated $100 earlier through IMBA, hopefully that got through to you guys. Seems like the logging is wrecking the trail at the moment. Thanks for such great trails!